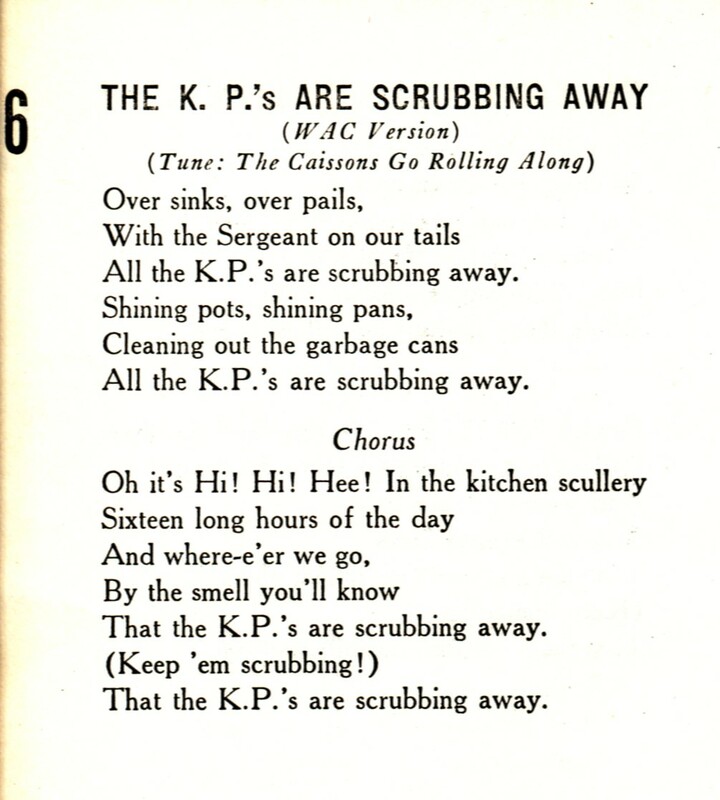 Already the WACS are doing 155 vital Army jobs. 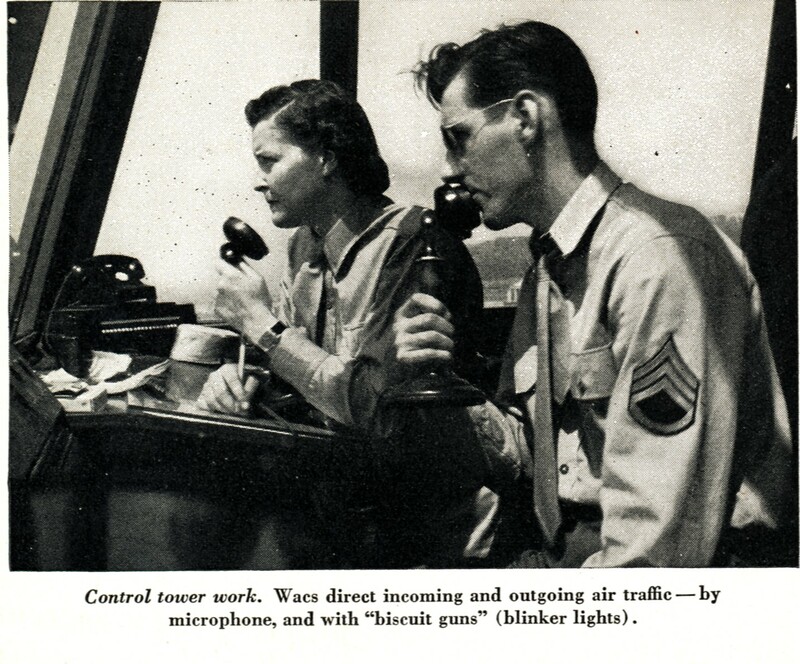 Some of these jobs are arduous. Some may seem routine. 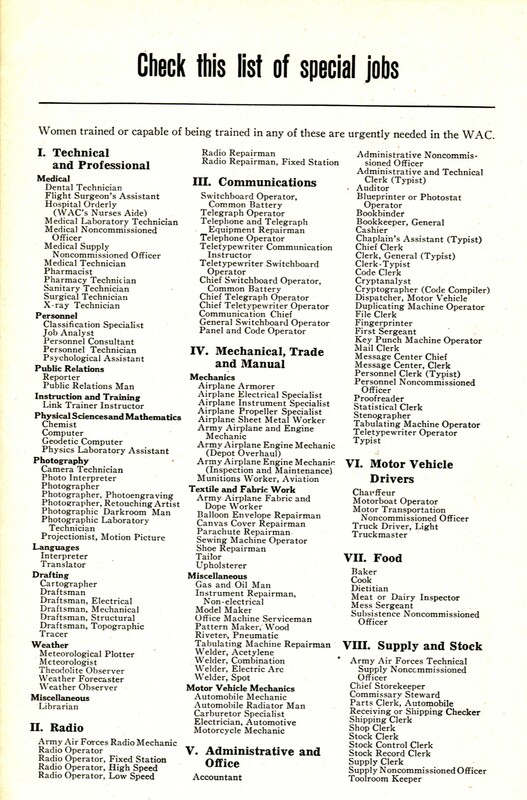 But every one of these jobs is essential to winning this war. 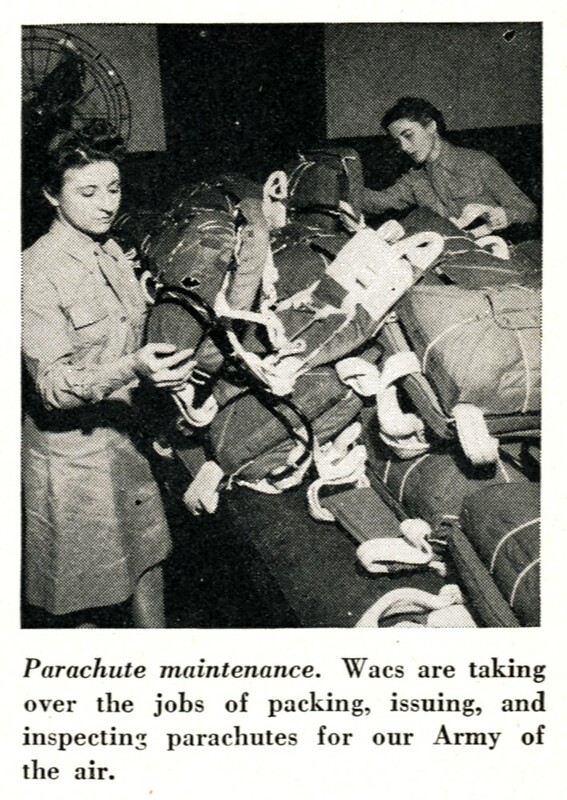 Thousands more women are needed in the WAC to take over these jobs. Women with special skills and business experience are needed. Women who have had no special training, who have never worked before, are needed too. 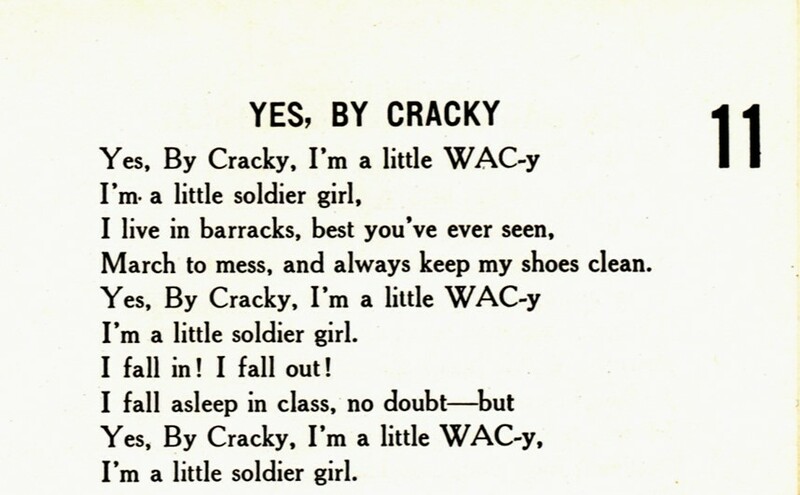 The WAC will train them for Army jobs. 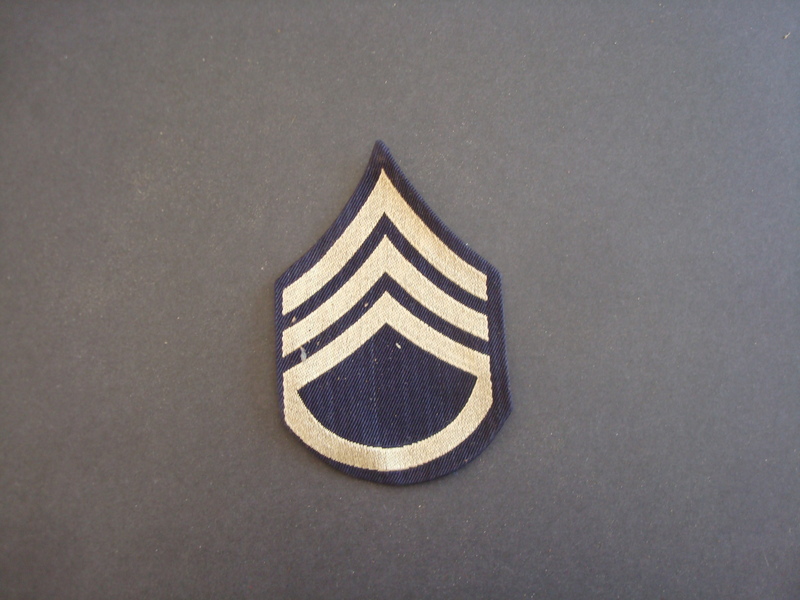 And many of the skills they learn will prove valuable after the war—in a career, or in running a home. 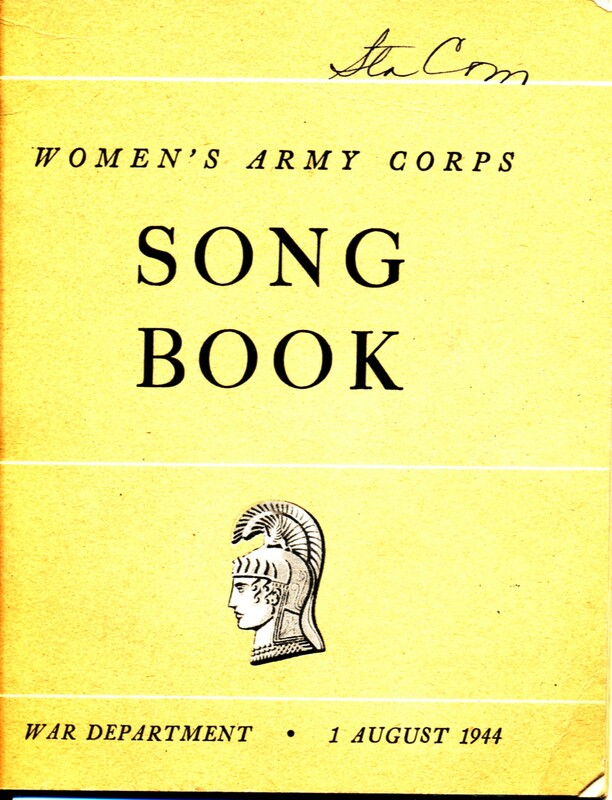 In 1943, as the women’s unit was converting from the Women’s Army Auxiliary Corp (WAAC) to the WAC, some people were concerned about women getting the same pay and benefits as men—and being an actual part of the army. 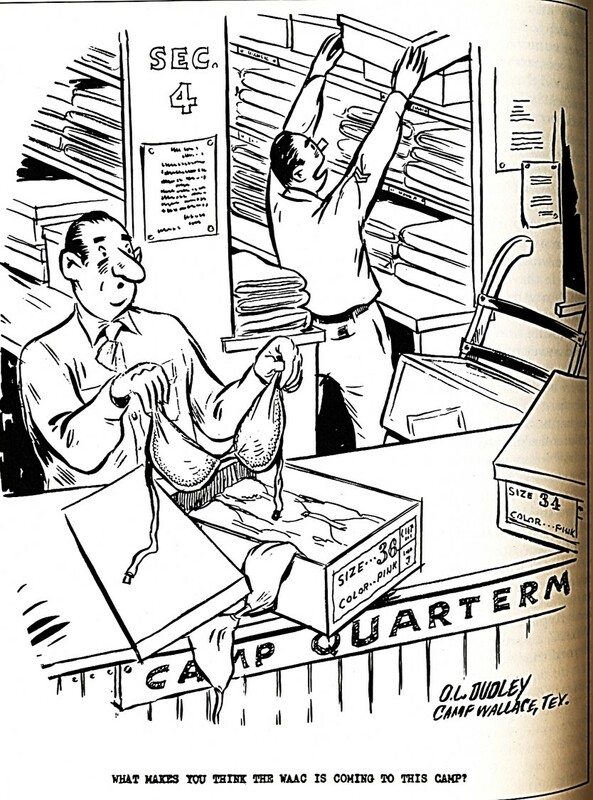 The media took a very active role in questioning why women were in the army—and sometimes argued (very inappropriately) that the women were not much more than “camp followers.” Many cartoons, such as the one I’m posting today, were considered to be part of the Slander Campaign. 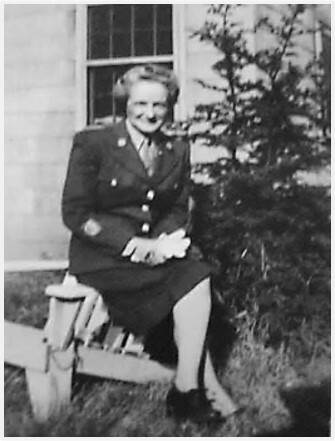 How Much Did WACs Earn in WWII? . 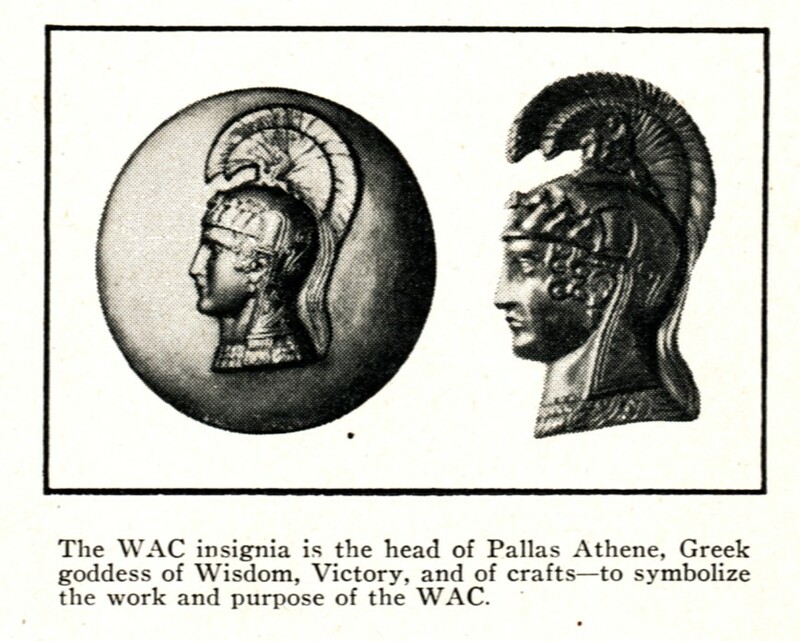 . . and What Were the WAC Grades? 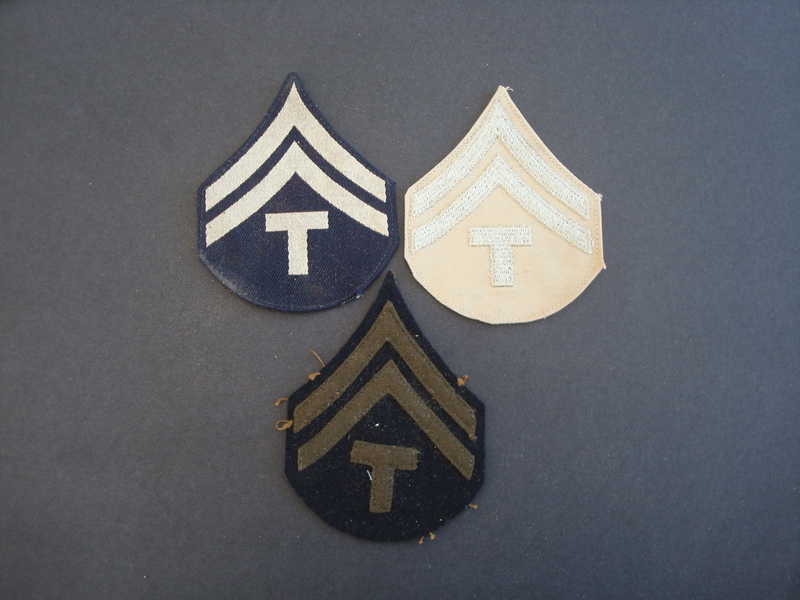 I’m still trying to figure why Aunt Marian had a box of military badges—and what units the badges represent. 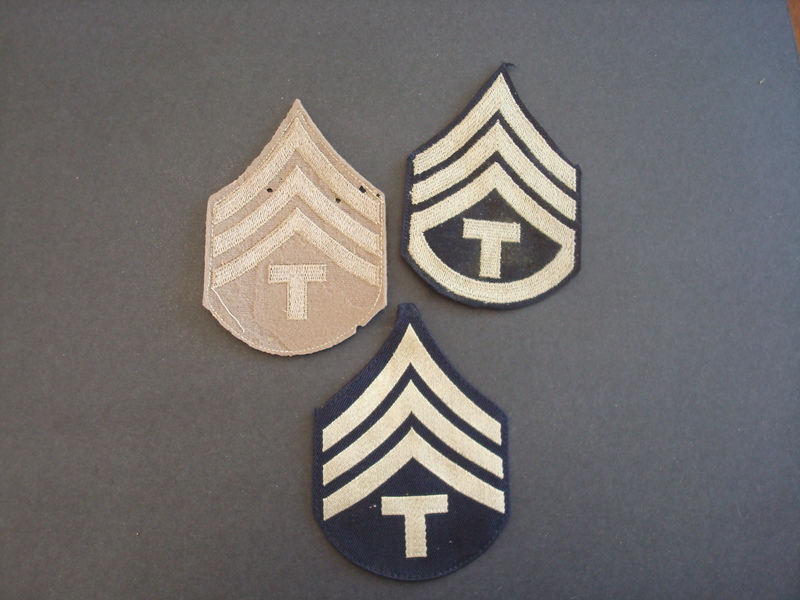 But I have determined that some of them represent various WAC ranks. 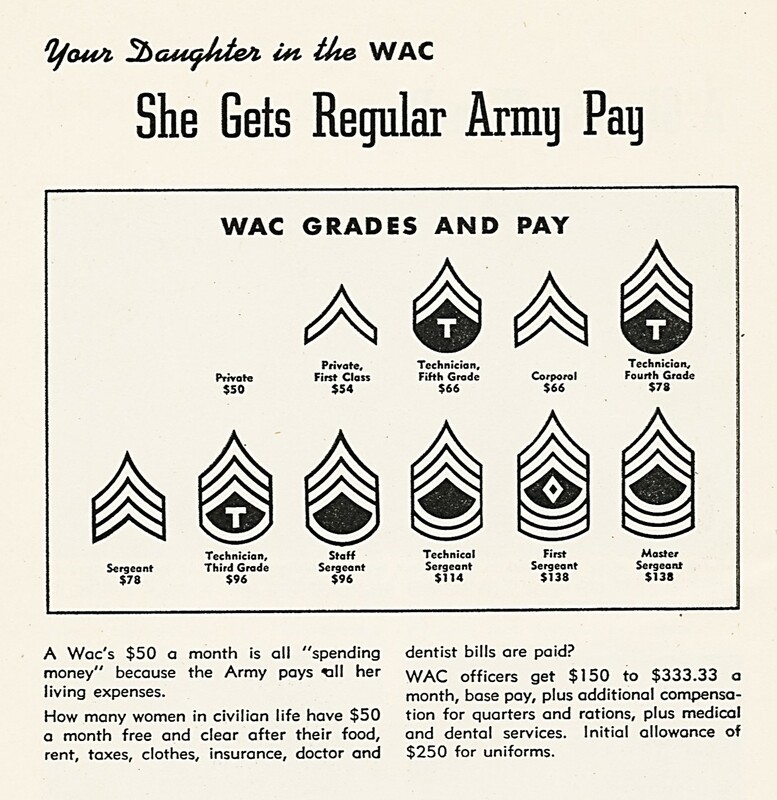 I found this chart in a 1944 recruiting publication aimed at parents, called Someone to be Proud Of: Your Daughter in the WAC, which not only shows the grades, but also the monthly pay received at each level. 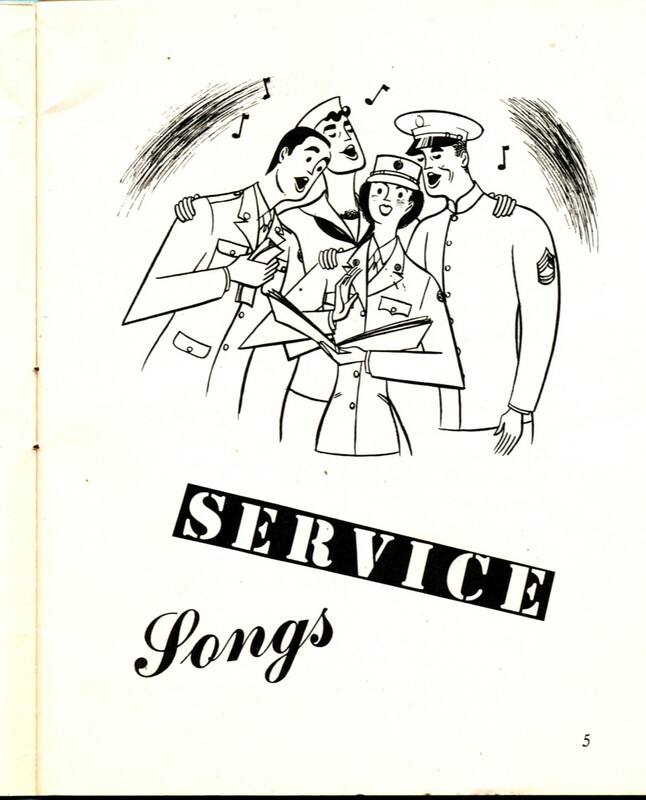 Who won’t want to join the WACs when they get $50 a month in “spending money”?